Learn and practice with the 2018 VFLW Champions! Our VFLW team are heading to St Helens for their 2019 pre-season camp! 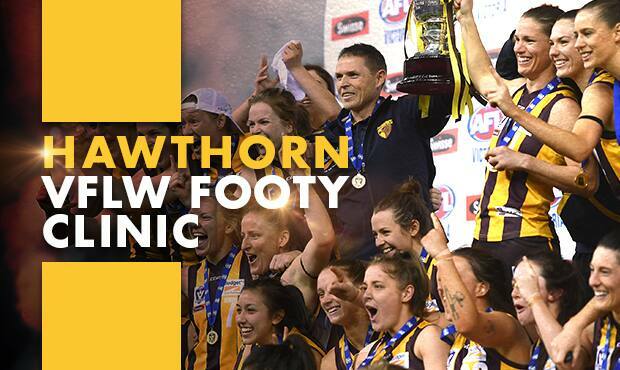 The Hawks and East Coast Swans are hosting a FREE AFL clinic for boys and girls of all ages. All experience levels welcome. No registration required.